Hungry Minds is now on Twitter! 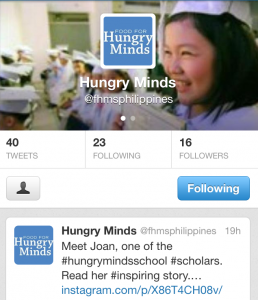 Learn more about Hungry Minds. Keep yourself updated about us by following us on Twitter: fhmsphilippines. Spread the word and help change a life of one child!